A few decades ago, when the Internet was not as popular as today, creating your own website and building on it could be a far-fetched activity or it was even a dream especially when you did not have the knowledge and skills to do so. Today, thanks to especially social networking websites, people can easily create their own pages and organize them within the possibilities of those environments or platforms. If you want to be more independent, and create your own page in mostly in your own way, you can still do so by taking URLs on some hosting webservers. Although most people think that this requires a lot of skills and knowledge of codes, HTML, CSS and so on, it is not the case most of the time thanks to these hosts where you can publish your own page or blog. Services like WordPress, Blogspot, Edublogs and so on are really popular to create your own page or blog. Recently, there is another popular service provided by Weebly with which you can easily create your own page/blog or even your class as a teacher with the ease of some clicks, and drag-drop. I will describe Weebly more below by also elaborating on its intended audience, how it works and how it could be utilized in an instructional context. As also described in Wikipedia.com, Weebly is a web-hosting service that allows the user to “drag-and-drop” while using their website builder. As of August 2013, Weebly hosts over 20 million sites, with a monthly rate of over 1 million unique visitors. The startup competes with Wix.com, Webs, Yola, SnapPages, and other web-hosting and creation websites. The intended audience of this tool is simply everyone who wishes to exist online with an individual webpage, blog or also a store. Furthermore, this tool has a specific focus on education and teachers can launch classes on Weebly and create websites or blogs for their students with simply their names when students do not have their own emails because of age problems. Students are also the intended audience of Weebly education and they can create their own pages or portfolios where they upload their assignments or else. As a result, although general public is the intended audience of this tool, specifically educators and students are aimed with Weebly education. In fact, one of the claims of this web-hosting tool is that building a website has never been easier, and it is possible to say that it has a point since it is really easy to create webpages on Weebly. First, you need to sign up, or you can even sign in using your Facebook and Google accounts. Afterwards, you take a URL under weebly.com for free or take your own domain by paying a certain fee. Later on, you can go pro and get some additional features like changing favicons, opening an ecommerce/store site or connecting your own domain. Actually, even for free users, there are so many features like uploading photos, files with the ease of drag-drop; uploading videos, changing themes, appearance, fonts with a full customization of your page. Furthermore, the page you have created will also be tablet or mobile device friendly without an extra effort. You can also check your page stats and do many other things by using Weebly mobile apps. Weebly seems to be a tool, which makes your job really easy by several practical and convenient features. You can do many things based on your aims, or creativity when you can easily create a page/blog or class of your own online. The things you can do with your own page and blog are clear and will not be elaborated further. However, as teacher, when you use Weebly education, it serves like a course management system as well. It is also an option that you can set your students free and create their own pages, but Weebly education gives an instructor full control by assigning pages to each student, or group of students and you can easily keep track of their progress on the same page. Blogs are strongly recommended for educational purposes, and I really like using them in my class as a student diary since it makes students confident since they are able to share their ideas with public. You can do the same thing with Weebly education where a maximum of 40 students can enroll in your class for free, and you can keep track of their progress, view their pages and give feedback. Students create different pages on their own site, and submit their work and assignment create portfolios so that you can easily check and grade them. In fact, for hands-on projects and activities, guiding students to create some work online since they are already motivated for it; they actually like showing off their work; check productions of each other and give peer feedback; complete their assignment and access to them whenever they want and so many other benefits. Therefore, Weebly, especially Weebly education could be really useful both for teachers and students especially in language learning classes where students mostly enjoy doing projects on different topics such as travel, business, entrepreneurship, music, art and so on. As it is widely known, online classrooms have gained popularity although there are still people who believe that the luxury of meeting in a physical classroom by having a face-to-face communication outweighs the effectiveness of having a fully online course. Regarding online course like MOOCs, it is not possible to conclude that fully online courses can replace traditional classes; however, considering college courses in which the total number of participants do not exceed 30s, we may assume that they can be effective as well. Moreover, tools or websites such as Skype, Google Hangouts, or more specialized ones like Blackboard Collaborate can enhance the effectiveness of fully online courses. On the other hand, when we consider using this kind of tools to support face-to-face classes for various purposes such as giving feedback and/or supporting our students outside classrooms, we might increase their effectiveness more and more. At this point, tools like Blackboard Collaborate or Google Hangouts with which a teacher can display his screen to all, remote-help his/her students, and communicate with them visually or auditorily might be a little difficult to set up since they might not be free, or require a sophisticated set-up process. Therefore, Stoodle is a tool to fill in this gap in a very easy and free way so that one, as a teacher, can instantly collaborate with students on a virtual whiteboard with as many pages as needed. Throughout the rest of this review, you will be introduced to this tool followed by further ideas and suggestions on how to make use of it effectively in addition to its limitations to illustrate how it could be developed more. Stoodle, as can be seen in the previous section, is intended for mainly instructional or educational purposes. Teachers and tutors are the main target group to use it to hold online office hours, review sessions, provide flexible or individual feedback, and organize illustrated review notes. On the other hand, students can also benefit from this tool by working on homework with their peers, illustrating problems and inviting teachers for help, and finally by creating group study guides. Simply hit ‘launch a classroom!” and that is it! sharing what you do on Twitter, Facebook, or via email. As it is mentioned above, there are several tools and possibilities that you can have using Stoodle in spite of its being free, and not requiring any complex set-up process. Within the following section, I will present more information regarding how this tool can be used for instructional purposes; and then further explain what limitations it has and how it might be developed more. First of all, as repeatedly mentioned so far, Stoodle is a very effective tool to create instant virtual classrooms for teachers and their students to interact. Therefore, it is best to use it for an improvised tutoring session or class reviews. Exceeding the boundaries of a classroom or an office, a teacher can hold sessions to provide additional support for his/her students. Say you would like to give feedback for a student’s writing and you do not have enough time at school. With the ease of a click and launching a virtual classroom on Stoodle, you might upload the whole essay on the whiteboard as an image or simply text. 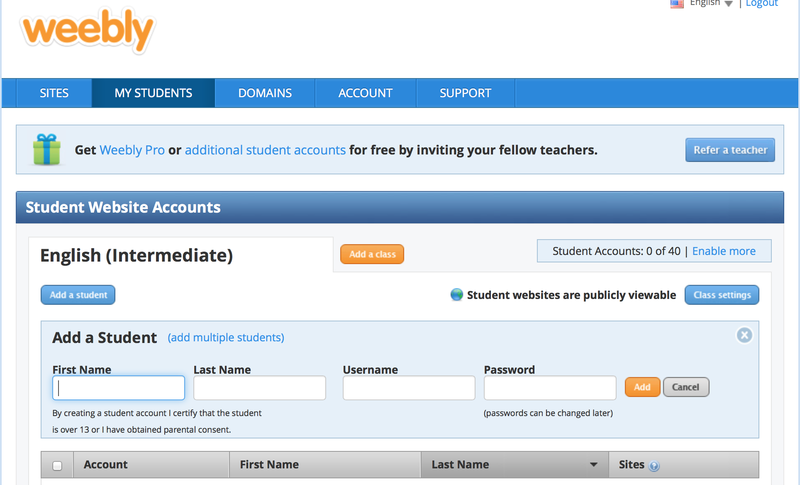 Then, you can set a certain link for each student all through a year and share it with him or her. When both you and your students are online at a certain time, you can explain things and give feedback by drawing on the board, through instant chat or voice conferencing. It is really efficient to be able to store all essays or those feedback sessions so that you can easily monitor your students’ progress. 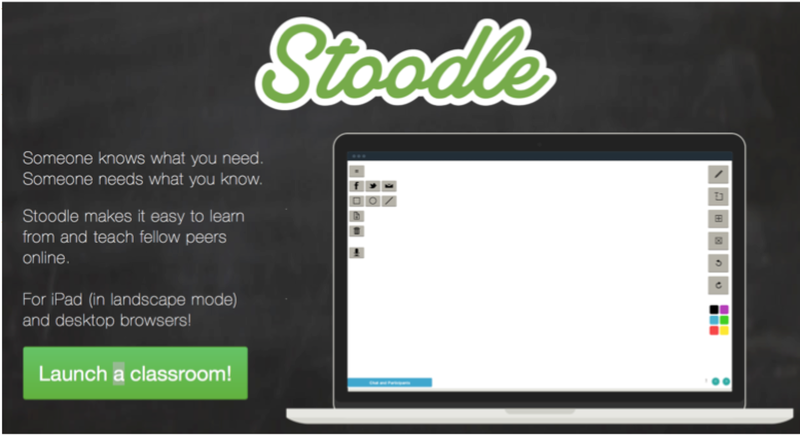 There are so many other ways that you can use Stoodle, but it seems that is best to use it to support your actual class to hold office hours, give feedback, and monitor students’ progress. It is actually possible to appeal more to productive skills like speaking and writing which most students lack while learning a language. Secondly, a teacher can motivate and guide his/her students to use Stoodle in many different ways. There are so many telecollaboration studies in which students who speak two different languages, and who are from different departments or countries help each other to teach what they are good at. Stoodle could be a great tool for them to connect with one another. 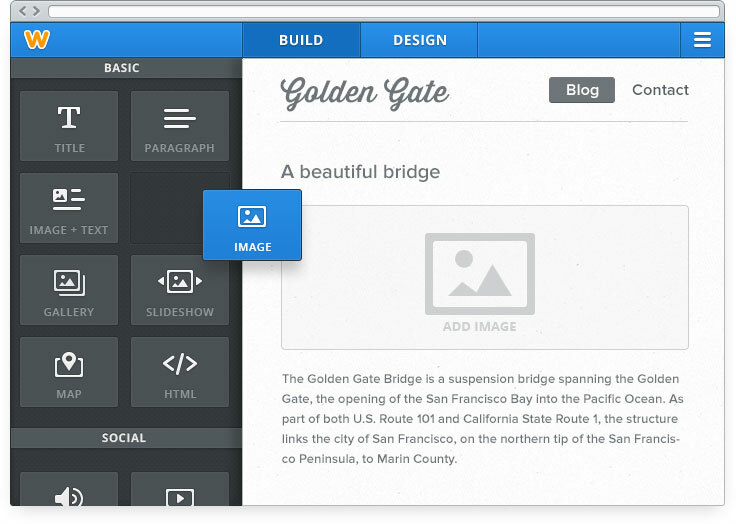 Furthermore, students can use Stoodle simply to work on their homework or assignments outside the school. For instance, for assignments requiring a process work such as brainstorming, developing an idea, creating concept maps, or solving a problem, Stoodle can certainly offer various options for the task to be completed effectively. Besides, they can always store their activity for later access and keep track of their performance. What is really convenient about Stoodle is that it can be used on any browsers and tablets as well. Today when almost everybody owns either of them, Stoodle can offer lots of opportunities for presenters or educators leading professional development or having sessions at conferences. On the other hand, although it is a really great and effective tool to launch instant virtual classrooms, this does not necessarily mean that Stoodle is a complete tool in itself with nothing to improve further. One of the biggest limitations of the tool, especially from a teacher’s perspective, is that nobody is leading the session. It is not possible for a teacher to manage a session. Everybody with the link can join, do modifications on the whiteboard or talk. Regarding tools like Blackboard Collaborate, it is possible for a teacher to administer a session by allowing students to participate, say something or simply join the sessions. However, on Stoodle nobody has the control, which might cause a confusion or a chaotic situation since what you store there might be deleted by anyone with the link. Moreover, although Stoodle is iPad or tablet-friendly, it seems that it has problems regarding voice conferencing when accessed with an iPad. I personally tested it on two different computers and had no problem regarding voice conferencing. However, when accessed on an iPad, I could not hear the person accessing with a computer, or the person with the computer did not receive my voice from an iPad. Therefore, despite being convenient, it seems that there are still issues with tablets and mobile devices. All in all, Stoodle is certainly a very effective tool for instant virtual classes with the ease of a click, and it certainly serves its objectives well with several great features. However, in order to improve it more and offer as many features as other similar free tools like Google Hangouts, or paid tools like Blackboard Collaborate, it seems that we need wait for newer versions. Regarding the objectives and mission of its developer team, Stoodle is surely going to meet all and even more of these expectations in the near future. IMPORTANT: This time, you can send me your feedback following this Stoodle link:) You can explore the page and then leave your comments.